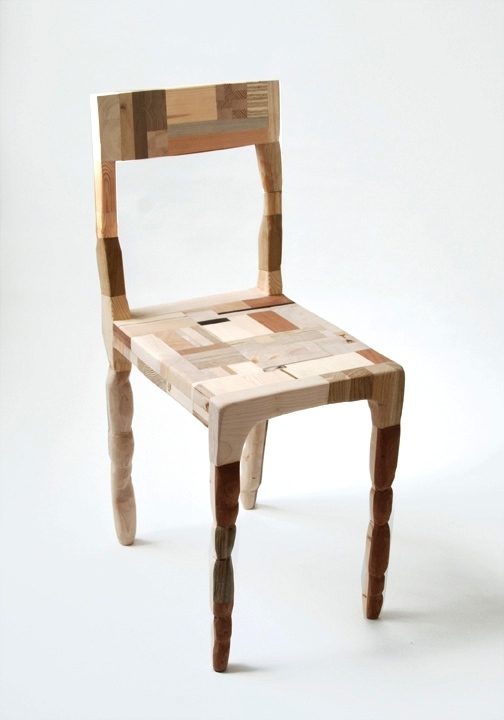 Amy Hunting makes amazing furniture and art pieces out of scrap wood and rubbish. I’m just blown away by it and want to start gluing cut-offs together. What a wicked idea – the Babooshka lamps, making a beautiful set of lamps (just like the Babushka or Matryoshka dolls – remember? 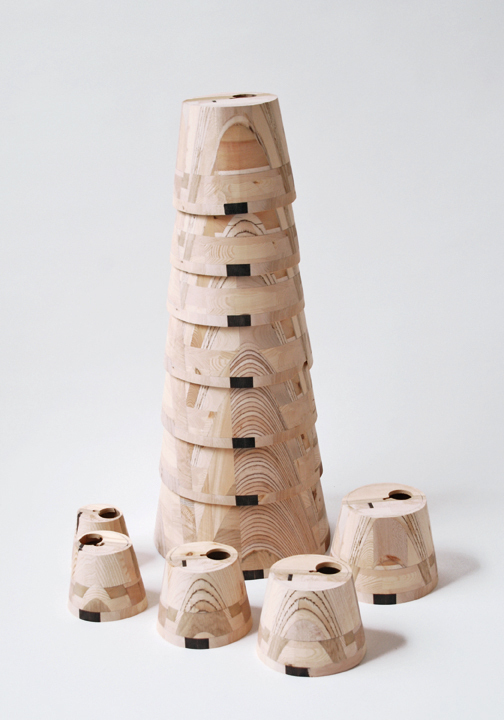 ), were cut out of one solid block of glued together wood pieces. Brilliant! Friday, December 18th, 2009 at 9:13 am. Filed under Great designs, Projects & ideas. Follow comments (RSS 2.0), comment, or trackback. that chair is ingenious! really shows the beauty of wood. By the way: Do you know http://www.gelebtesholz.de ? those are great designs but am just wondering is it safe to sit on it or is it durable enough?